Would you like to help further philanthropy while making great connections? 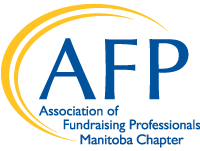 An AFP Manitoba committee is the perfect place for you! Is event planning your thing? This is a strong committee who could use one or two more pairs of hands to pull off a stellar Manitoba Philanthropy Awards show. Is continuing education important to you? The Professional Development committee needs one new person to help plan topics and speakers for our education sessions. Lend your voice. Join the new Inclusion, Diversity, Equity and Access (IDEA) & Ethics committee with your unique perspective. Help to ensure continued certification as a Friend of Diversity and to ensure equity in your local chapter and across Manitoba’s philanthropic sector. Is savvy social media and effective email marketing your strong suit? Join the Communications committee and help amplify the organization's voice in Manitoba. If any of these opportunities interest you, please contact Carolyn Basha, Past President and Nominations Chair at info@afpmanitoba.org.